Healy Akeley and George Thomas are entombed in the building. Check out Akeley's record. Courtesy of Barb Baraw, Stowe Historical Society. A 3-inch ordnance rifle, manufactured by the Phoenix Iron Company, Phoenixville, Pennsylvania. The serial number is 374 and the weight is 816 pounds. The inspector was TTSL. A second rifle on the other side of the steps bears serial #266. 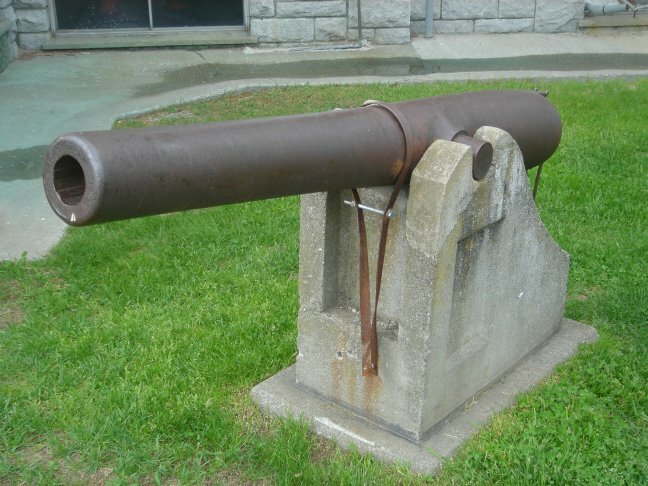 An interesting note about this model cannon, it is the same model cannon, by the same inspector, that is said to have fired the first Union artillery shot at Gettysburg. 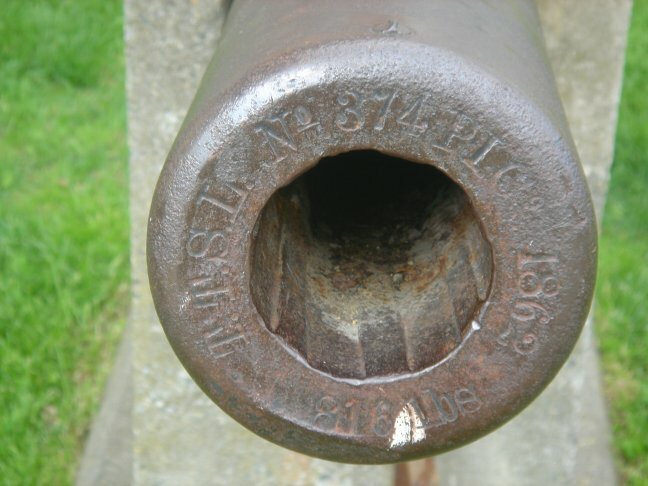 Another model of this type of cannon by the Phoenix Iron Company and inspected by TTSL was said to be the last one fired at Appomattox. 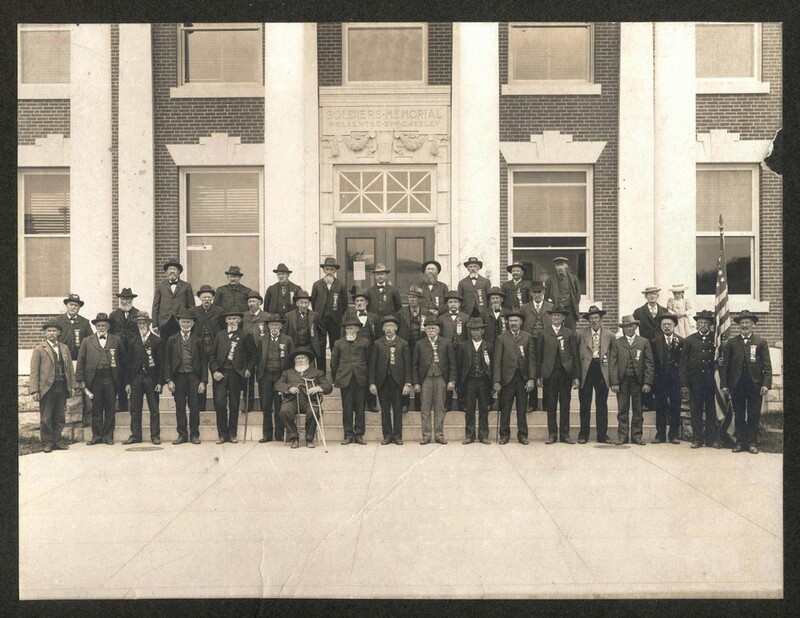 TTSL = Theodore Thaddeus Sobieski Laidley, a U.S. Army Ordnance officer and inspector. For a comple list of inspectors, see United States Military Small Arms Inspectors Markings.